If you are of a certain age, then you likely remember every detail of the trial against O.J. Simpson. But among the police chases, Kardashians, and gloves that didn't fit, viewers may have missed all of the hubbub surrounding Jill Shively. "Who is Jill Shively?" is certainly a valid question, even for the most avid crime watcher. 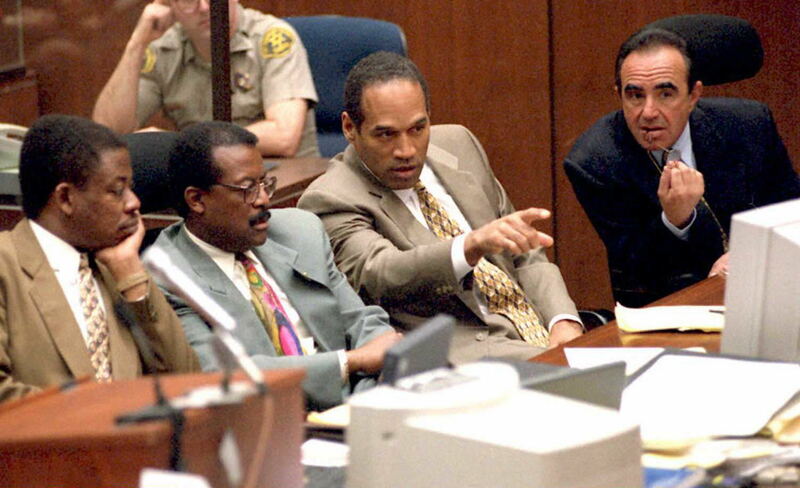 Though the ordeal is nearly two decades old, Simpson's trial for the murders of his ex-wife Nicole Brown Simpson and Ronald Goldman, of which he was found not guilty, still captivates American audiences. Now, FX's miniseries The People v. O.J. Simpson: American Crime Story is reigniting the cultural fascination with the case. The first episode of the series introduced Shively, who could have been a key witness in the trial. Yet, we haven't seen her since, so what happened that put Shively out of the picture? Let's explore what is known about this previously mysterious person, who had the potential to be extremely pivotal in one of the most publicized criminal trials in American history. Played by Romy Rosemont on American Crime Story, Shively first appears on the series when she is speaking with District Attorney Marcia Clark. Shively tells the prosecutor that she witnessed Simpson driving the infamous white Bronco near his ex-wife's house the night of the murders on June 13, 1994. This is all accurate, as according to CNN, the real-life Shively did claim to the authorities that she saw Simpson driving near Brown Simpson's house that night. This past February, Shively recounted her story to Radar Online, and claimed that she was "two or three blocks" away from Brown Simpson's home in Brentwood when she saw a white Bronco "with no headlights on" run a stoplight and almost hit her car. Shively also claimed that the road was "really well lit," so she could see the driver clearly, and said she recognized Simpson from his role in a Naked Gun film, and that he had "glared" at her. Since Shively claimed that this incident occurred around 10 p.m., her account would have fit within the alleged timeline of the murders. The key word is "would," because Shively did not testify during the murder trial. As reported by Inside Edition, though she testified before a Grand Jury, Shively was not called as a witness to Simpson's criminal trial because she had told her story on the TV series Hardcopy in exchange for $5,000.